This is a Fred Moore staging sketch, showing Sneezy (I think) interacting with Snow White. Here we see Fred's version of the girl, more cartoony than the final model, which of course is much more realistic. It makes you wonder if the animators could have gotten the same emotional range out for the character, using a design like this one. 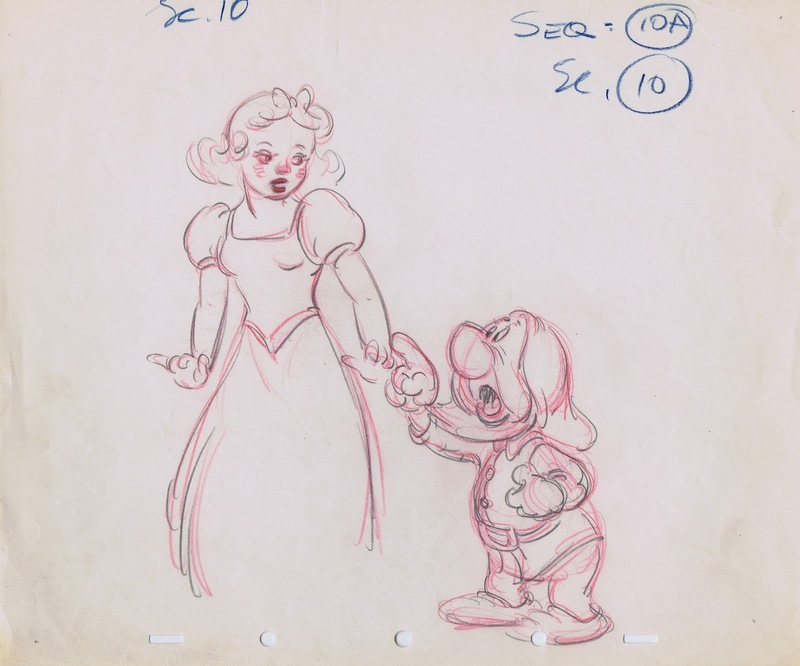 Come to think of it, this Snow White drawing could very well be a caricature of an employee at the studio. In any case, Fred Moore drew the leading lady very much like one of his famous "Freddy Girls". 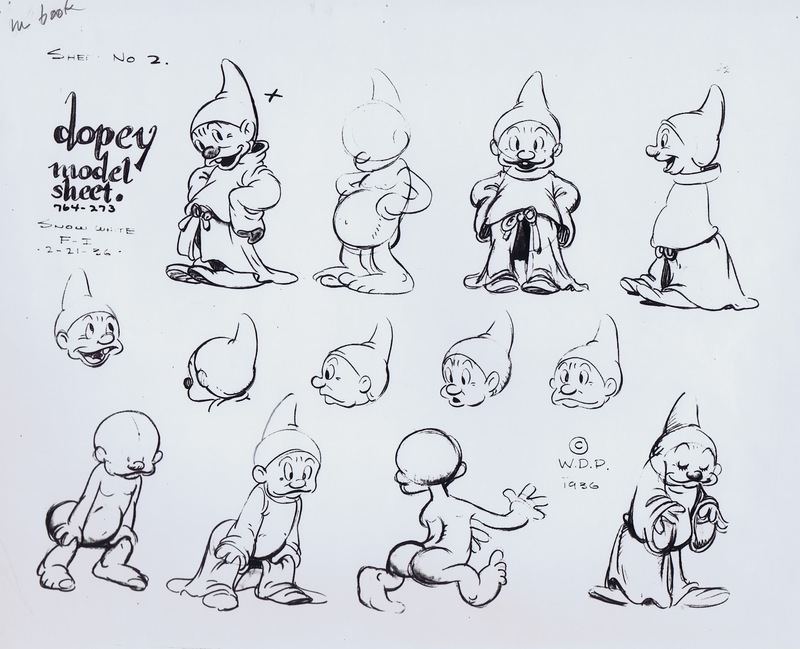 Fred set the look for all of the dwarfs and animated many scenes with them, as a group and in single close ups. 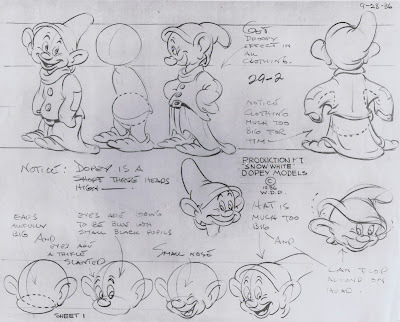 His tour de force character is Dopey, who along with the other six, underwent quite a graphic change, as he developed. 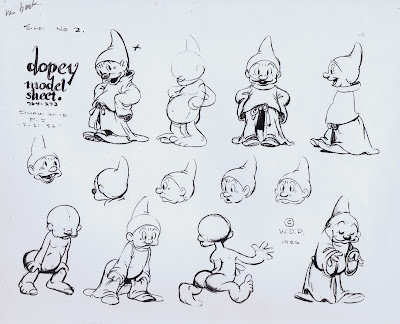 Just compare the early model sheet, already beautifully drawn and full of character, with the finalized design. What an astonishing improvement in appeal. 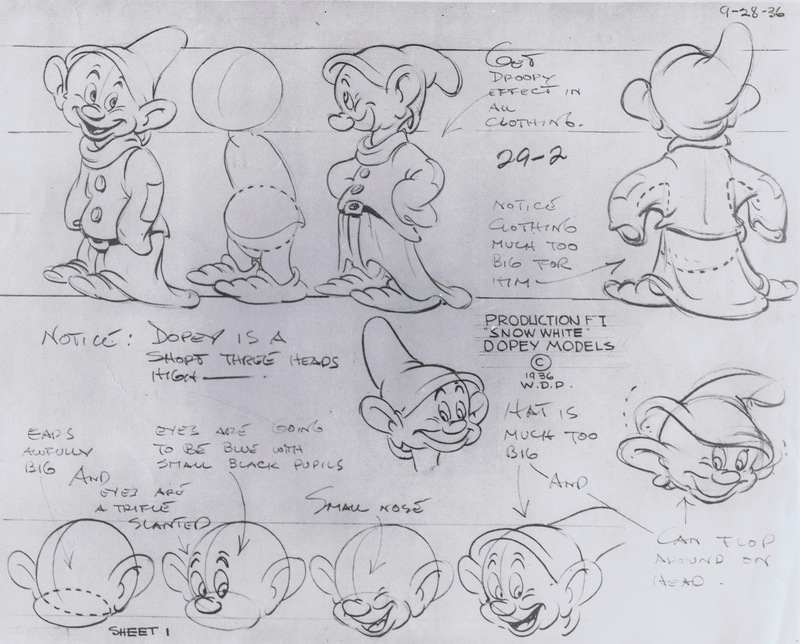 Dopey turned out to be a real "scene stealer" in Walt Disney's first animated feature.